Exclusively available to buy from HomeSense, TK Maxx stores, tkmaxx.com and sportrelief.com from 21st January 2016. 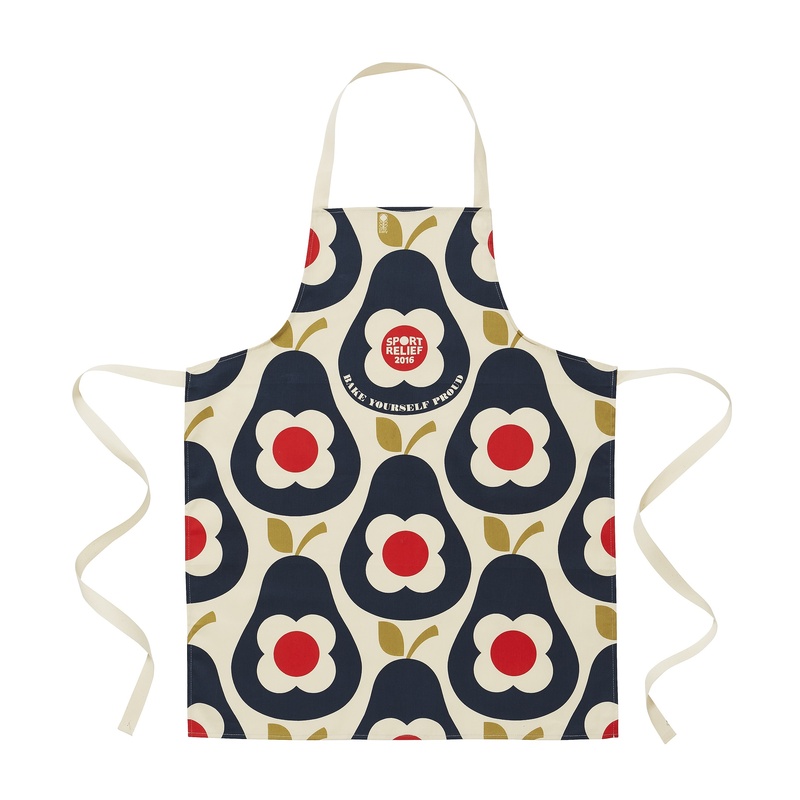 For those wanting to ‘sport’ a new look in the kitchen, designer Orla Kiely has created a limited edition apron for Sport Relief 2016. 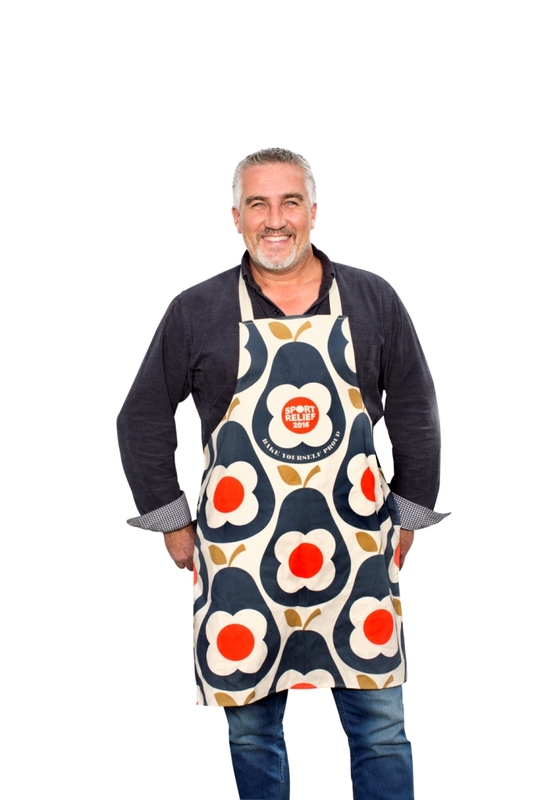 The apron will be presented each night to the winner of ‘The Great Sport Relief Bake Off’ and is available to buy exclusively from Sport Relief official partners: brands-for-less homeware retailer, HomeSense, TK Maxx stores, tkmaxx.com and sportrelief.com from 21st January 2016. The apron will retail at £12.99 and at least £5.25 going to Sport Relief. There’s no doubt that baking has captured the imagination of the nation. And the apron is the perfect way to ‘rise to the occasion’ supporting a great cause whilst baking yourself proud in the kitchen. Orla is passionate about bringing the spirit of Sport Relief into thousands of kitchens across the UK and the range features an iconic print with a Sport Relief twist. 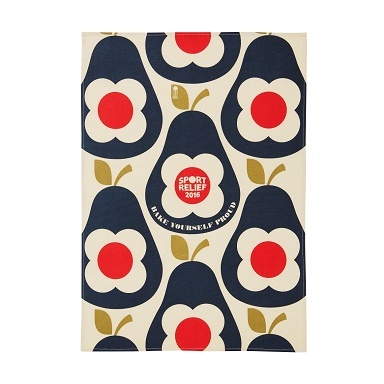 With two tea towels also available, they are the pear-fect excuse to get involved. Hailed as the ‘queen of print’, Orla Kiely is world-renowned for her instinctive graphic discipline to simplify and stylise everyday motifs and forms. With clean, orderly repeat constructions and a boldness of scale, her work achieves strength with a very modern quality, while her love for all things mid-century creates charming, uplifting and instantly recognisable prints. Since 2002, Sport Relief has raised over £195million. Sport Relief 2016 will take place from 18th-20th March, bringing the entire nation together to get active, raise cash and change lives. The money raised from the apron will help people living incredibly tough lives. Half of the money raised by the public for Sport Relief is used to make a difference right here at home in the UK. The other half is used to transform lives across the world’s poorest communities.